On the 6th Day of the way of the Cross Lenten Programme of the Diocese of Abuja Hosted by the Cathedral of the Advent, the Rt. Rev. Henry Okeke, Bishop of Mbamili Diocese flagged off his ministration by paying homage to the Primate of All Nigeria (Anglican Communion) the most Rev Nicholas D. Okoh, describing him as a LION. He dwelt intensely on the message that centered on the cross calling it genuine. According to Bishop Okeke God is a God of new things, new beginning because every day new things are happening. He reiterated the meaning of the Cross in three ways affirming that Christ has cancelled death and paid the price by been wounded and bruised and by his chastisement believers are healed. He reminded Christians that they must identify with Jesus and become an enemy of the kingdom of darkness adding that if they suffer with him they shall reign with him. He called the attention of believers to the sovereignty of God as demonstrated in the Acts of the Apostles nothing that people will gang up against believers in Christ but as a soul winner they must know that it is not butter and bread not is it a matter of eloquence, smartness that worries souls but courage, and power of the holy spirit. According to Bishop Okeke, the power of the holy spirit is behind mission, when doors of opportunities are opened hence the Church should not be spineless so that the foundation of the Church would not be questioned. He admonished the Church to depart from iniquity and quicken the pace with new attitude to administration with power to operate the Church in Holiness. According to him when the power is given there must be Godly living because he sends that the power of God makes the difference. It expands mission denominational constitution and raise disciples for Jesus. He said without any ambiguity that the Church must double up if they do not want to reap evil or their children terrorizing them in future. 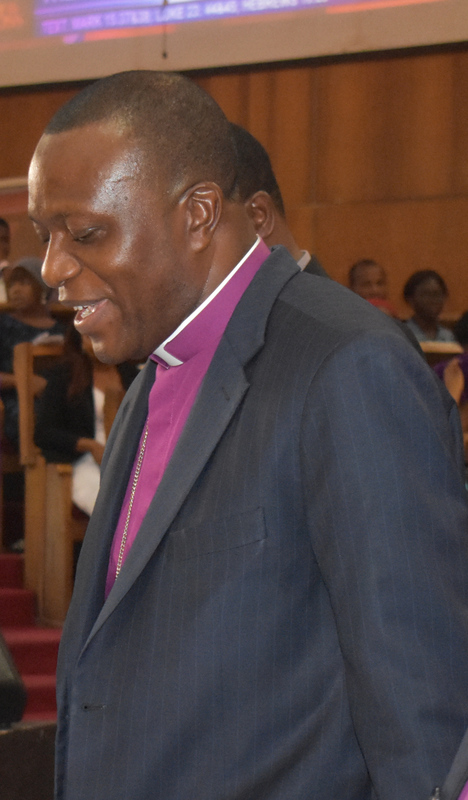 Bishop Okeke pointed out that the easy way to secure the way and bring people to the fold and save souls for Christ is to have courage to be different in a corrupt society. He prayed that God will grant the Church the passion to win souls for Him. Several prayer biddings were said, for healing and deliverance. The Diocesan Mass /Choir gave soul lifting tunes and the whole church danced. Two different altar calls were made with intensive prayers for worried souls. Many people gave their lives and they were handed to counsellors and prayers warriors. It was a serious business as the servant of God was soaked all over with sweat. It was a night to remember.